An interesting and sometimes surprising look into the visual art of Pink Floyd. Storm Thorgerson's witty and detailed explanations go a tad further than the usual "Behind the scenes" and breathe new life into the still visuals from the Floydian heyday. Storm Thorgerson, the man who created many of the iconic Pink Floyd album covers, as well as surreal covers for other rock bands, is one of my favorite artists. This book deals with his creations for Pink Floyd and is quite extensive. Okay, if you don't like good music and/or interesting photography this might not be the book for you. If, however, you adore Pink Floyd and feel (as I do) that their album cover art is among the best, you will really enjoy reading this one. It has alot of images, but it's not a picture book. The author (who happens to be the one who created all of the imagery) goes into some fascinating detail about all of the pictures that have been used through the years in association with Pink Floyd's records and their live concert productions. There is more than enough behind-the-scenes information to keep fans of all types interested and delighted. 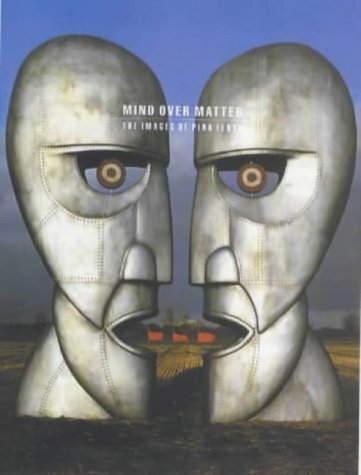 Las fotografías e historias detrás de las portadas y el arte gráfico de álbumes, pósters, playeras, DVDs, y demás material de promoción son absolutamente fantásticas.No cabe duda que Storm entendía la estética musical de Pink floyd y Pink floyd necesitaba la comprensión artística de Storm para lograr un matrimonio visual funcional y complementario.Si bien la prosa de Storm no es la mejor su arte, historias y ávida información pinkfloydera valen totalmente la pena! Storm T's work, especially that for pink floyd, is amazing. The album art and photos are the main focus, but it isn't short on information. The biography is deeply personal, in view of Storm's long history with the band. Particularly valuable are his comments on his photographing and aesthetic techniques. Storm Thorgerson was the man behind the creation of Pink Floyd's album art. Within is his Floyd covers presented in full, all-the-while lamenting on his relationships with each member of The Floyd. He delves into his inspiration for each, while also providing narrative behind the exchange of ideas between Pink Floyd and himself. A must for any PF fan. For as intriguing as Storm's graphic design is, his writing is rather weak. Just get it for the pictures. Excellent book, lovely production and despite other reviews to the contrary, very readable and engaging. More info on Pink Floyd visuals. Includes more than just album art.